Which Jeep Model is Best for Me? Jeep Wrangler – The classic Jeep, the Wrangler is the go-to vehicle for those who want uncompromising off-road capabilities in an SUV along with head-turning and iconic styling. New Wrangler models also come standard with Jeep Wave. Jeep Cherokee – If you like the everyday comfort and convenience a crossover SUV brings but want more all-terrain capabilities than your typical suburban machine, the Cherokee is a solid choice. Jeep Grand Cherokee – The largest of the Jeep SUVs, the Grand Cherokee offers up opulent interior comfort and an abundance of space, alongside commanding engine options. Jeep Compass/Renegade – If you like the idea of owning a Jeep SUV but living on a budget, the Compass and Renegade give you an affordable entry that doesn’t compromise on quality. 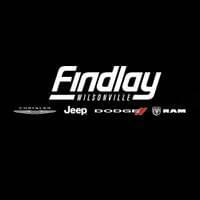 Compare Jeep SUVs head to head to figure out the best Jeep models for you, and then make your way from Tualatin to check them all out in person at Wilsonville Jeep RAM, where you can finance a new Jeep right now! 0 comment(s) so far on Which Jeep Model is Best for Me?